Amazing, interactive fun at your event! 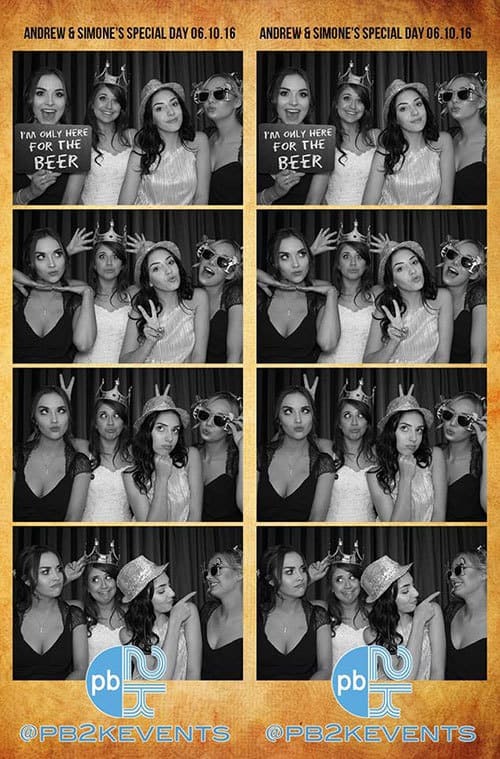 If you’re looking for Photobooth Hire Surrey or London or Magic Selfie Mirror Hire in Surrey or London, Hampshire, Berkshire, Buckinghamshire, Kent or South East England, DJ2K Photobooth hire is the right service for you! Here at DJ2K all our Photobooths and Magic Selfie Mirrors are owned and maintained in house. 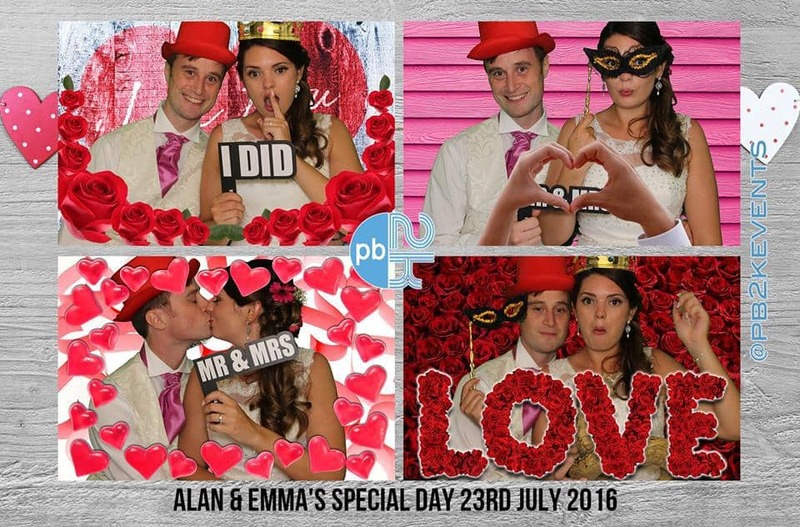 They are installed by our very own professional PB2K uniformed Technicians / Photobooth Hire Hosts. We select our hosts based on their fantastic attitude and personality, ensuring that your guests enjoy the experience and have immense fun. 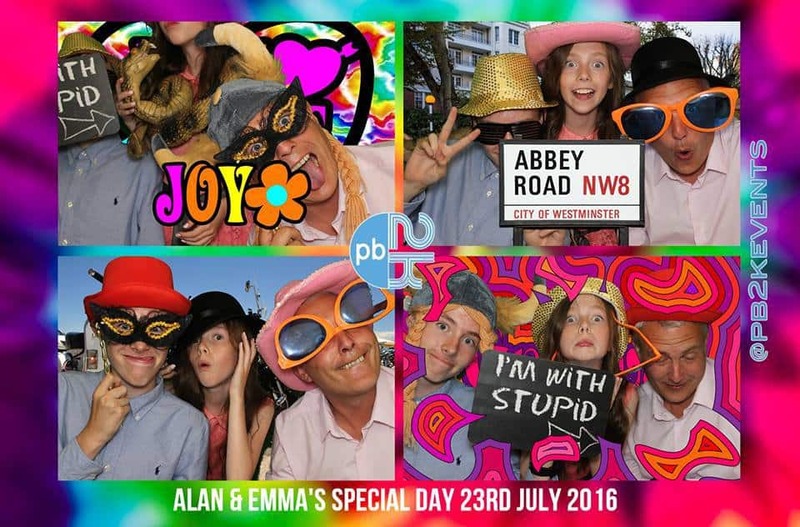 For your assurance, all our photobooths are manufactured in Britain which ensures absolute quality, safety and reliability. 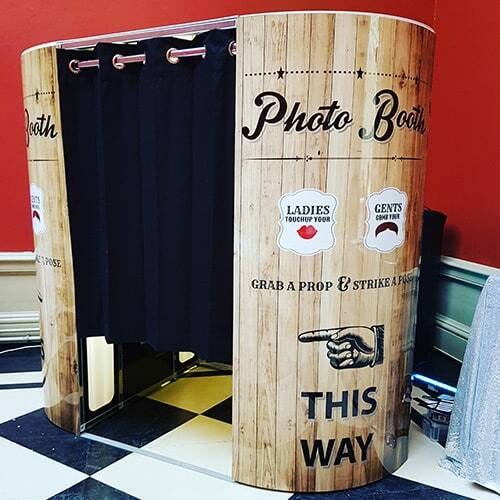 Our Photobooths use the latest in Green Screen interactive (and fun) technology – “Green Screen Dream Machine”, enabling your guests to select different backgrounds, themes and even change the colour of their prints from colour to black and white or even vintage sepia. It is also possible to leave HD video messages when requested in advance, some may say – the 21st century equivalent of a ‘guest book’! We provide high quality display photo albums as well as unlimited photo prints for your guests. We believe this to be the very finest package available and to add even more value we provide a 3.5 hour service when many of our competitors offer just 3. 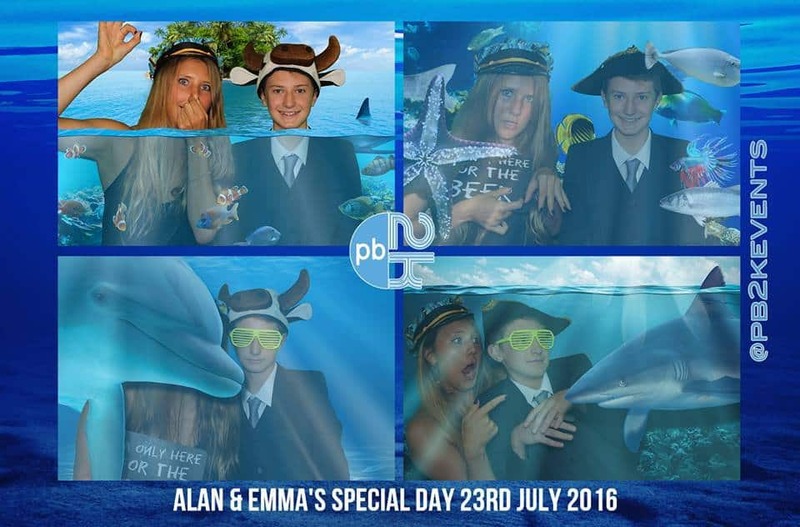 Just another benefit of DJ2K Photobooth Hire Surrey Service. Key features include instantaneous touch dry prints, unlimited guest prints/visits to the photobooth, a fully trained on-site photo booth technician, 6x4 prints, high quality photo album, large prop box, your name, logo or a special message on each photo and a USB stick with all your digital copies on it. No need to wait – your Photo Album and USB are given to you on the night! Our Magic Selfie Mirror is a mixture between a photobooth and (you guessed it) a (full length) mirror. The Magic Selfie Mirror will have your guests giggling with its fun verbal and visual responses. Whether it’s a corporate event, engagement, wedding or birthday party, we can accommodate you. Our selfie mirrors are operated via an easy to use touch screen so guests can just sit back and choose from the onscreen prompts. Our friendly hosts are always at hand to assist and ensure the perfect experience. 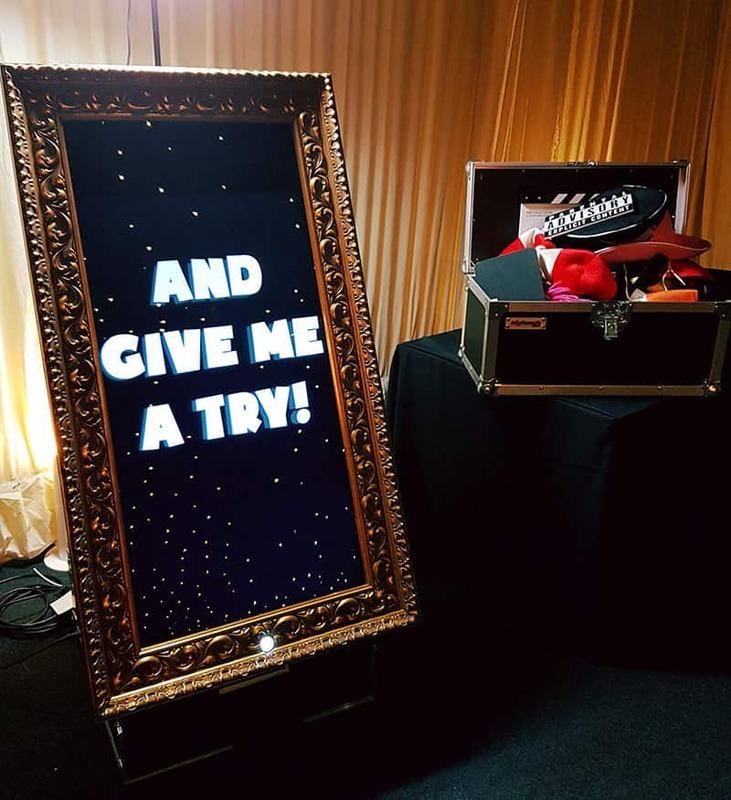 At additional cost we can place one of our illuminated poseur tables next to your selfie mirror which will provide your guests with somewhere to put their drinks. Many of our clients add one of our giant illuminated signs; LOVE, MR(S) & MR(S) sign and/or Up Lighting (Mood Lighting) to enhance the selfie mirror area. Our selfie mirror hire prices start from as little as just £495. Price is location, time and season relevant. For example a afternoon on a Tuesday in February will be priced lower than a Saturday night in August. DJ2K offer a truly bespoke service and will tailor make a package to suit your exact needs, whether booking alongside one of our multi award winning DJs or not. 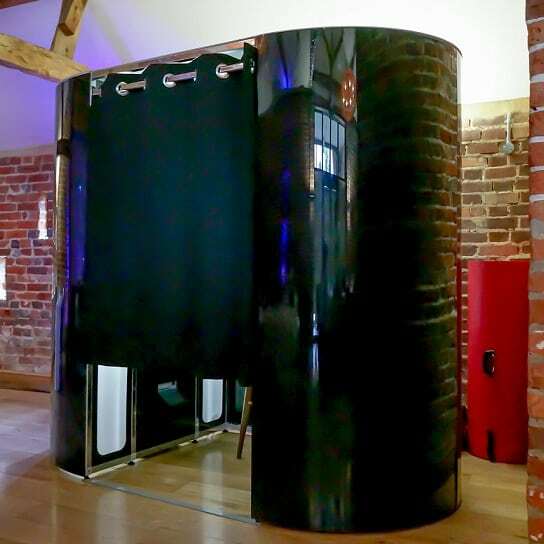 To book or find out more about our selfie mirror hire Surrey and London, please don’t hesitate to contact us.